May 28-31, 2018. Asia Sweetpotato Breeders and Seed System Meeting. Thiruvananthruram, India during May 28-31. 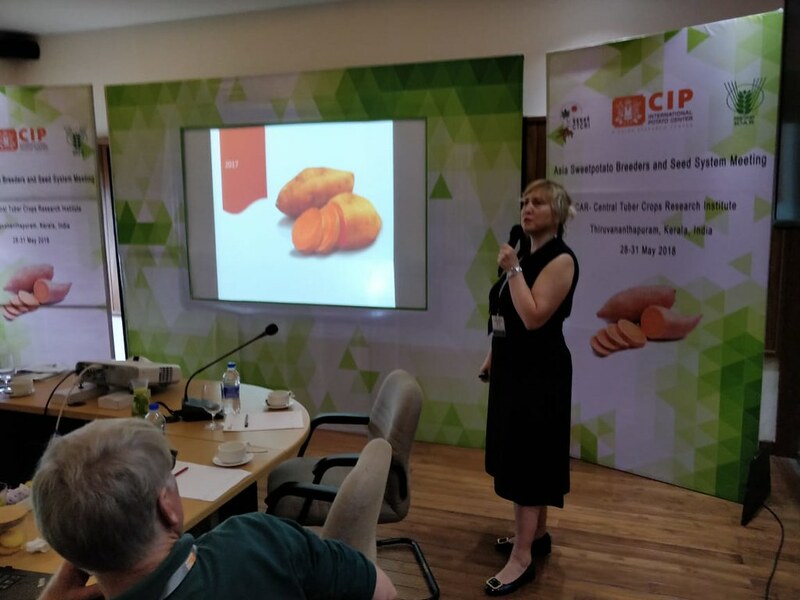 Results of sweetpotato production in Tajikistan have been presented on the Asia Sweetpotato Breeders and Seed System Meeting, which was organized in Thiruvananthruram, India during May 28-31. Up to 40 participants, scientists as well as business sector representatives from eight countries attended the meeting to discuss sweetpotato breeding, production, processing and storage conditions and plan future activates.